Dru Moore is currently the Manager of Proposal Engineering and Customer Service. 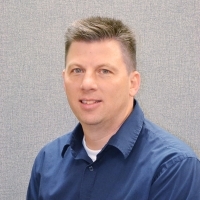 Dru joined SFP in 1998 and has been involved in nearly all aspects of engineering, project management, and customer relations throughout his tenure. Dru received his BS in Mechanical Engineering from UT San Antonio in 1996 and obtained his PE License in 2012. Fill out the form below to send your question directly to Dru Moore, or go back to select a different expert.